2Department of Electrical Engineering, Technion-Israel Institute of Technology, Haifa 32000, Israel. This feature issue of Applied Optics is devoted to the theoretical and the experimental aspects of Gabor and wavelet transforms and to their optical implementations and applications. Subjects related to the Gabor scheme and wavelets have evolved under the influence of ideas originating primarily in physics and engineering. The powerful mathematical formalism and techniques that have been recently introduced, have, however, stimulated much greater interest among scientists of various disciplines and backgrounds. 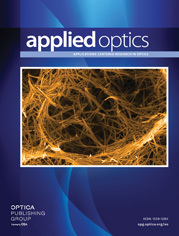 The purpose of this feature issue of Applied Optics is to further stimulate interest in this topic in the community of scientists working on optical techniques, in which it is expected that important applications of these concepts and techniques have yet to be developed.